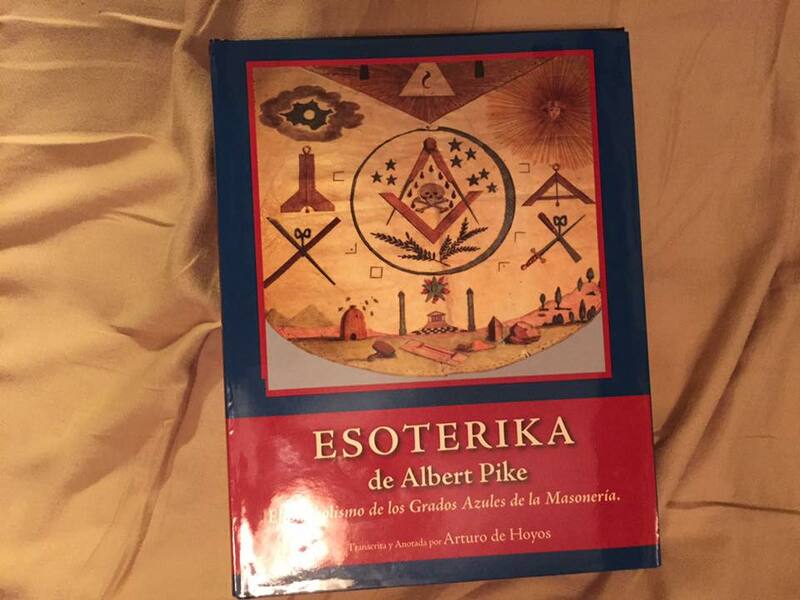 According to a Facebook reader, the Grand Lodge of Panama has recently commissioned a Spanish language translation of Albert Pike's Esoterika for their 100th anniversary. Pike's book is comprised of his personal observations and interpretations of the three Craft Lodge degrees. In it, he lamented the superficial explanations of his day about the degrees of the lodge, and wondered why Masons simply accepted them and didn't ask serious questions about the ritual. Interestingly, he never intended the book to actually be published or widely circulated. Prior to 2005, Esoterika was known to only a handful of scholars at the Scottish Rite's (SJ) House of the Temple. Pike had only two hand-written manuscripts bound of the work, and few ever saw it. Pike explores "The Compasses and the Square," "The Weapons and Blows of the Assassins," "The Three Grips," "The Substitute for the Masters Word," "The 47th Problem of Euclid," "The Truth," "Is the Cable-tow a Symbol?," "Corner Stones," "The Ladder of Jacob," "Tubal Cain," "Shibboleth," and "Solomon and Hiram." But much of the book is made up of voluminous explanatory notes by the Scottish Rite SJ's Grand Archivist, Arturo De Hoyos, along with illustrations, an article on Pike's personal faith, and even four early Masonic ritual exposures. It was published (in English) in 2005 as the bonus book of the Scottish Rite Research Society, and is available from the House of the Temple shop.